Geologists are getting a better idea of what it will take to protect thousands of people from a major flood below a South Bay dam. Thom Jensen reports. Geologists are getting a better idea of what it will take to protect thousands of people from a major flood below a South Bay dam. The Santa Clara Valley Water District is working on a seismic retrofitting project at Anderson Dam near Morgan Hill — a project that has been more than a decade in the making after experts determined that there is better than a one-in-four chance that the dam would fail during a major earthquake. The dam and Anderson Reservoir sit right on top of two large fault lines. 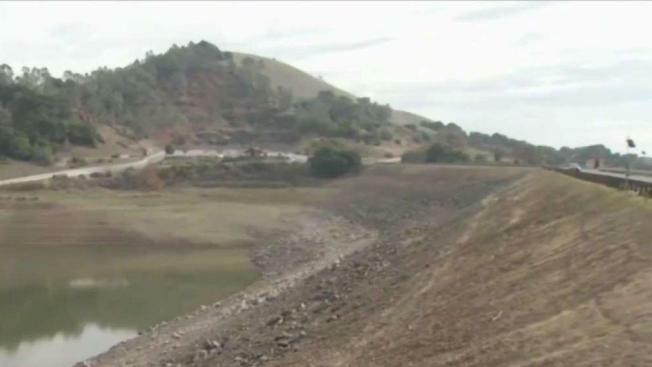 Studies have shown that wide areas of land around the dam could liquify during a temblor. A portion of Coyote Creek — the waterway that flows directly from the reservoir — overflowed its banks two years ago during heavy rains, inundating some San Jose neighborhoods with floodwaters. If the dam were to fail during a quake, flooding along the creek would be catastrophic, threatening to sweep away people and homes. Scientists have started to evaluate the dam to finally start construction design work. Design work is expected to be complete by the end of the year, but actual construction won't begin until 2022. People who live below the dam have criticized the Santa Clara Valley Water District for not starting construction sooner. The water district is slated to provide an in-depth update on the seismic retrofit project during a meeting at the Morgan Hill Community and Cultural Center Wednesday night. The meeting is scheduled for 6 p.m.